KABUL: A number of prominent political parties, where their leaders stood for September 28 Presidential elections, have strongly rejected participations in the forthcoming Consultative Loya Jirga for Peace to be convened on 29 April, casting huge doubt over its “freeness and fairness”. 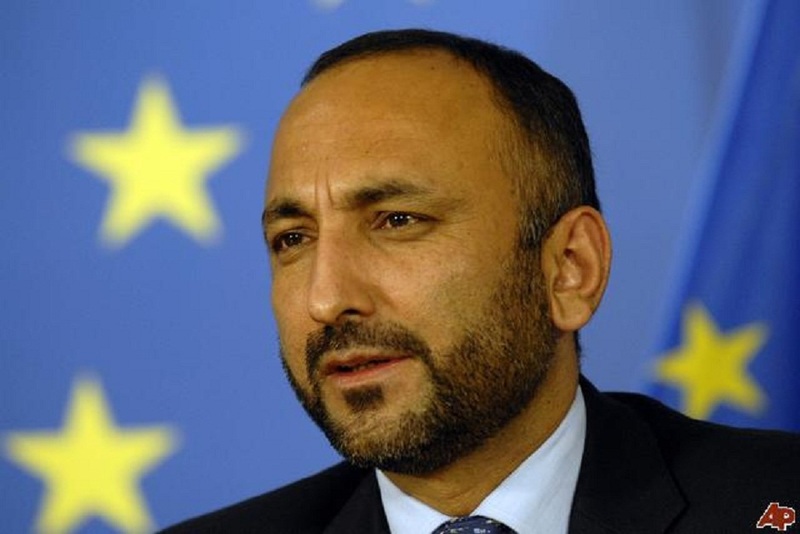 Former National Security Advisor (NSA) Mohammad Haneef Atmar said that no one from his electoral team will attend the upcoming Jirga for peace, terming it nontransparent which is opaque being led by a particular team at the Presidential Palace. “There is no guarantee over “freeness and fairness” of the Loya Jirga,” Atmar was quoted as saying in a statement issued by his office on Monday. Preparation process of Jirga has been underway without consultations with the prominent political and national parties, Atmar said, adding, this indicates no transparency in the Jirga, thus the group would partake in it. It is nothing but a waste of time, Atmar said, terming an electoral campaign by the government in its interest. The Jirga lacks legitimacy and acceptance on national level, said ex-Afghan spy chief Rahmatullah Nabil, with confirmation of not participating in the Jirga. In a statement, electoral team of Mr. Nabil boycotted the Jirga, where according to them the agenda of Jirga is yet to be cleared. “Political parties, civil society organizations have been sidelined from this process,” he said, accusing government for election campaign by the name of Jirga. Many other politicians and presidential candidates, including Ahmad Wali Massud, Dr. Faramarz Tamana and Nur Ul-Haq Ulumi also rejected participations in Loya Jirga, where they believe it is nothing but a mere-propaganda in behalf of the government. This comes one day after Chief Executive, Abdullah Abdullah, rejected attending the Consultative Loya Jirga to discuss ways for peace, saying that not only him but also his electoral team would not attend the jirga.